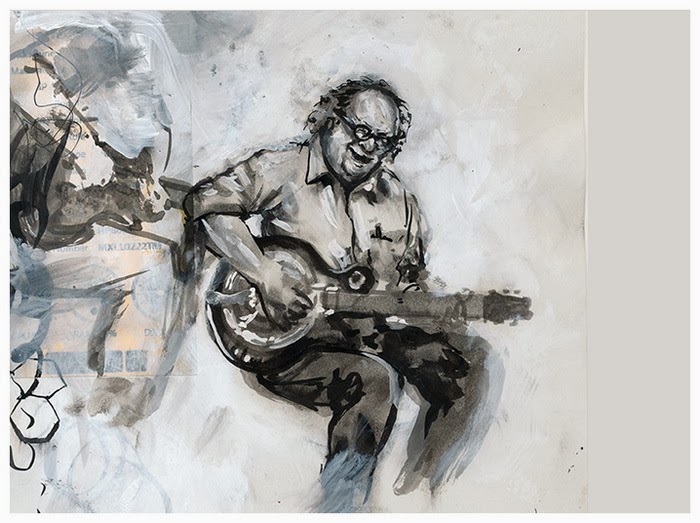 Eugene Chadbourne richiama in vita i morti stasera al club newyorkese The Stone per il concerto di Halloween: convoca Thelonious Monk, Muggsy Spanier, Johnny Cash, Cab Calloway e Jethro Burns per una sessione della sua Doc Chad All Dead Jazz and Pop All Stars (con la mediazione rispettivamente di Evan Gallagher, Thomas Heberer, Tatsuya Nakatani, Louie Pearlman e Barry Mitterhof). Per sé il ruolo del più caro degli amici: Jimmy Carl Black. Due appuntamenti in Italia - domani sera a Roma (Dal Verme) e giovedì 31 a Ravaldino in Monte (Area Sismica) - e a seguire una raffica di concerti in Germania, con musicisti ospiti ogni volta diversi, fino al 7 novembre: torna a farsi sentire Ossatura, l'eccellente trio di Elio Martusciello, Luca Venitucci e Fabrizio Spera. 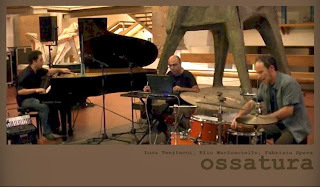 Improvisation represents the backbone of the music played by Ossatura. 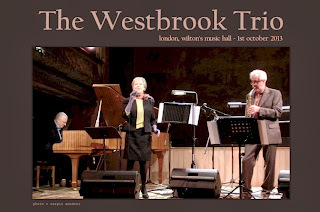 The practice of improvising is integrated by discussion, research and critical analysis, all of which contribute to the elaboration of structures, information and organizational modes. Their music is marked by a sequence of sound blocks and diversified interlocking timbres and shapes, where detailed textural work alternates with rhythmic accelerations and highly dense sound events. Standard instrumental techniques are explored, together with heterodox practices such as manipulation, treatment, electrification and amplification of various objects, assuming noise as a structural element. Their improvisational work develops through electro acoustical elaboration in real time and the use of tapes, which both expand and define the space where sound is manipulated. Ossatura tends towards a combination of non-musical languages through a creative process where music is but one of the components in a complex and extended project. Uno dei progetti più sorprendenti del chitarrista americano Philip Lithman - il dinamico Snakefinger di tante avventure con i Residents, scomparso nel 1987 - torna nuovamente alla luce in una ricca riedizione curata dalla tedesca Promising Music (l'album in origine era su Rough Trade): Snakefinger's History of The Blues-Live in Europe, registrato in Svizzera e Germania nel 1983. 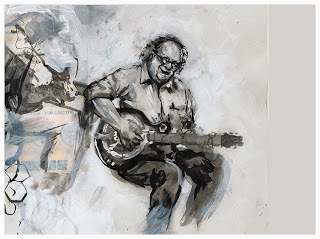 A scrivere le nuove note di copertina c'è anche Eugene Chadbourne. The blues was Lithman's first love, and the lessons he learned from masters like Robert Johnson, Buddy Guy, and the three Kings (Freddie, Albert, and B.B.) always informed all his work, no matter how outside he may have taken it. Every note he played dripped feeling as well as technique, tradition as well as originality. 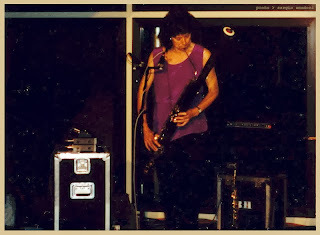 In 1983, in his typical idiosyncratic fashion, he put together a band from every nook and cranny of San Francisco music except the blues scene: Feldman had just wound up his work with Beefheart; Steve Mackay had recently moved to town after years with Iggy Pop & The Stooges; Richard Marriott and Josh Ende were recruited from the neo-dance band Club Foot Orchestra; Raoul N. DiSeimbôte was a pal of the Residents and active on the theater and comedy circuits; and Miguel Bertel and Johnny "Bonghit" Ryan were mainstays of Lithman's touring band. 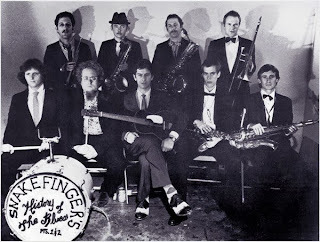 This motley crew somehow congealed into a tight machine capable of following the leader through any number of blues styles, all fastidiously honoured but by no means slavishly reproduced. 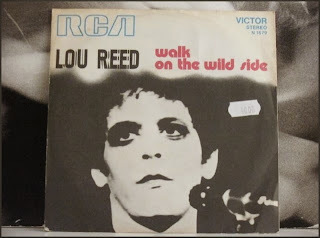 Addio Lou, Walk on the Wild Side! Evan Parker è stato protagonista il mese scorso - alternandosi a Fred Frith, Larry Ochs, Peter Evans e David Krakauer - di una residenza artistica presso il club newyorkese The Stone, curando la programmazione e lo svolgimento dei concerti dal 17 al 22 settembre 2013. 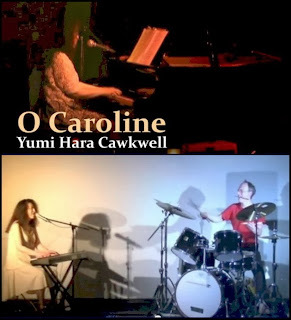 I due concerti del 19 - Bleeding Edge Trio, ovvero Parker con Peter Evans e Okkyung Lee, e il duo con Han Earl Park (con finalino in quartetto) - sono documentati integralmente su YouTube. 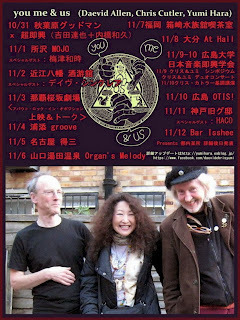 Ogun Records pubblica un album in memoria del compianto bassista Harry Miller, scomparso esattamente trent'anni fa, contenente registrazioni inedite di metà anni settanta del suo gruppo Isipingo: Different Times, Different Places, con la partecipazione di Chris McGregor, Keith Tippett, Mike Osborne, Mark Charig, Nick Evans, Malcolm Griffiths e Louis Moholo. Informazioni: ogunrecords@googlemail.com. Virtuoso South African bassist Harry Miller forged his reputation on the British jazz scene working alongside Mike Westbrook, Bob Downes, John Stevens and fellow exiled South Africans Chris McGregor, Dudu Pukwana and Louis Moholo-Moholo. As his reputation spread, Miller worked increasingly on mainland Europe with the likes of Peter Brötzmann, Misha Mengelberg and Willem Breuker. 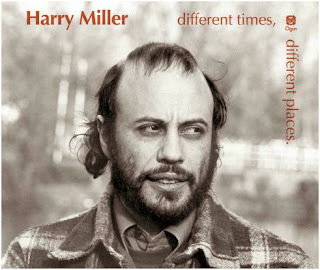 Different Times, Different Places, which follows up on the 1999 Ogun release Harry Miller-The Collection (now a prized collectors item) celebrates Miller's work as leader of the band Isipingo and features previously unreleased sessions from 1973 and 1976. Chris McGregor and The Brotherhood of Breath: questo il titolo della biografia del pianista, compositore e bandleader sudafricano scritta dalla moglie, Maxine McGregor, pubblicata nel 1995 da Bamberger Books a Flint, nel Michigan (Stati Uniti). Oggi il testo torna disponibile con diversa copertina, nuova prefazione e immagini aggiuntive in un'edizione curata dalla Rhodes University di Grahamstown (Sudafrica), dove in diverse occasioni si sono promossi seminari e incontri di studio sulle vicende e il lascito artistico di McGregor e i Blue Notes. Il concerto di Stormy Six e Moni Ovadia Benvenuti nel ghetto dello scorso 20 aprile al Teatro Ariosto di Reggio Emilia è documentato su cd e dvd in una pubblicazione prodotta da Btf, in distribuzione a partire dal 29 ottobre: una presentazione in anteprima in forma di ascolto guidato e con la presenza degli Stormy Six si tiene oggi a Milano, al Libraccio di Romolo, viale Romolo 9, con inizio alle ore 18.30. "Benvenuti nel ghetto, nuovo lavoro degli storici Stormy Six realizzato in collaborazione con l'artista Moni Ovadia, si mostra sin dal titolo come ben più di un semplice disco. Si tratta infatti della commemorazione dei fatti avvenuti a partire dal 19 aprile 1943 all'interno del ghetto di Varsavia: fu il primo atto di ribellione collettiva contro l'oppressione nazista, una forte protesta che durò circa un mese, prima di venire violentemente repressa dai soldati e ufficiali tedeschi. L'opera esce in un formato speciale deluxe, costituito da un booklet di 8 pagine con copertina in cartoncino, il tutto racchiuso in uno slipcase orizzontale di 15 x 25cm. 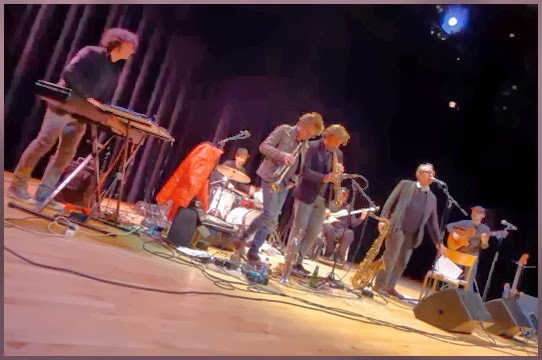 All'interno troviamo un CD contenente 11 nuovi brani, ed un DVD che, oltre a tali canzoni, contiene la registrazione dell'intera performance del 20 aprile 2013 al Teatro Ariosto di Reggio Emilia, della durata complessiva di più di un'ora e mezza. Tra un brano e l'altro, Moni Ovadia legge testimonianze di chi visse, settant'anni fa e oltre, gli orrori del nazismo e a loro questo lavoro è dedicato. Un prodotto unico, nel formato e nei contenuti, da una band imprescindibile e già da tempo consegnata alla storia del rock italiano. Benvenuti nel ghetto, per stessa ammissione degli Stormy Six, prosegue idealmente quanto già espresso nell'indimenticabile capolavoro Un biglietto del tram." Due anni dopo Chunk torna a farsi vivo con Like Likes Like il dinamico trio berlinese Denseland: David Moss, Hanno Leichtmann e Hannes Strobl. "Denseland's sound exists in its own sealed universe - one spanned by sinister timbres of seduction, grooves of foreboding imbued with a sardonic, almost wicked humor. The tracks lure the listener in through an incessant, underlying, looping drive; a forwards moving groove and throbbing pulse that both pushes back and ensnares you simultaneously. Under its sparse, crystalline, minimalist surface, Denseland’s music reveals contradictory undercurrents - unsettling noise, weird breaks, ominous drones, grinding distortion, disjointed electronic pulses, fractured beats, disfigured sounds." 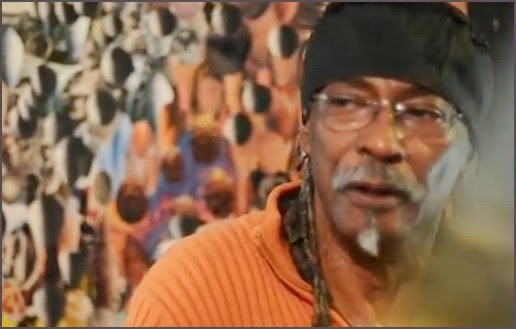 Se n'è andato pochi giorni fa all'età di settantatre anni il batterista texano Ronald Shannon Jackson, campione illustre di numerose stagioni del jazz americano d'avanguardia - prima con Ornette Coleman, Albert Ayler e Cecil Taylor, poi con James Blood Ulmer, Wadada Leo Smith e Vernon Reid - e figura di primo piano in molti progetti rivolti al free, al funk e alla fusion: tra i più celebri Power Tools (con Melvin Gibbs e Bill Frisell), il supergruppo Last Exit (con Bill Laswell, Sonny Sharrock e Peter Brötzmann) e naturalmente la 'sua' Decoding Society. Alcuni momenti della sua lunga carriera sono rappresentati in una galleria video su YouTube in http://www.youtube.com/user/cymbata. Miles Mellough di Birds With Broken Wings compone un ritratto in quattro quadri di Annette Peacock attraverso buona parte della sua discografia ufficiale: "It would seem that it's only the most serious of music listeners who hold any actual connection to Annette Peacock, and for them it generally borders on a love affair. For those less engaged, it's perhaps just a casual awareness. But when it comes to the remaining millions, the reclusive Peacock's proclivity for solitude has resulted in her name remaining completely unrecognized and her music virtually unheard. It may then come as a surprise to anyone who is newly introduced to Peacock that the gifted singer, pianist and composer in fact possesses quite an impressive pedigree, one that dates as far back as the early 1960s. Among her friends, acquaintances, collaborators and admirers both past and present are adventurous jazz musicians like Albert Ayler, Paul Bley and Gary Peacock, all of whom she's worked with (and the latter from whom she gained her surname). Along with them was Spanish surrealist Salvador Dali for whom she was briefly a muse, acting as a 'hologram' in one of his New York exhibitions. Add to this group, counterculture guru and LSD enthusiast Timothy Leary with whom she participated in early mind expansion experiments, and also inventor Robert Moog as well. With Moog, she helped to advance his synthesizer prototype. 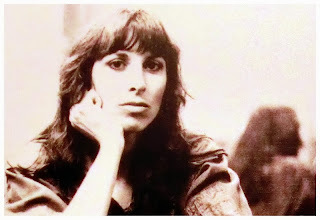 Then among the more contemporary artists who have name dropped Peacock or have championed her work are David Bowie, Pat Metheny, Busta Rhymes, Al Kooper, Brian Eno, Jaco Pastorius, Morcheeba and most recently, Coldcut. And after reading and hearing Beauty, Brains and Balls, you'll perhaps join that list as well." C'è un nuovo episodio di Canterbury sans frontières ad ogni luna piena. Stavolta è dedicato a una stella: Lindsay Cooper. 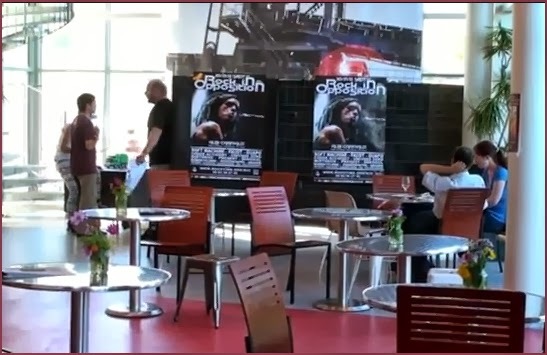 Scene raccolte tra pubblico, organizzatori e musicisti durante il Rock in Opposition France Event ad Albi, Carmaux (Francia) lo scorso settembre: http://tinyurl.com/pbxoufr. L'appuntamento con il festival è rinnovato per l'anno prossimo, dal 19 al 21 settembre 2014. Un nome è già certo: Doctor Nerve. 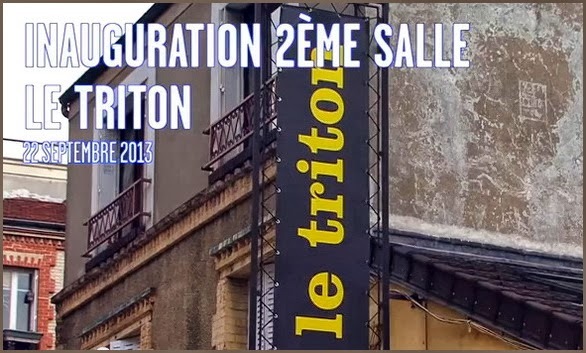 Brani da due concerti consecutivi dei francesi Post Image (Dany Marcombe, Eric Pérez, Patricio Lameira, Frédéric Feugas, Frédéric Buzon, Jean-Christophe Jacques) tenuti a Toulouse e a Perpignan assieme a John Greaves il 26 e 27 marzo scorsi per presentare l'album In An English Garden: "Une occasion rêvée de nous faire découvrir sa collaboration inédite avec le chanteur gallois John Greaves, ancien comparse de Robert Wyatt ou Henry Cow. Depuis sa création, le groupe distille son ethno-électro-jazz avec convivialité sur scène et sur 9 albums, dont un dernier opus Mandragore. Une musique métissée, prenant sa source dans la culture anglaise et qui s'écrit ici dans le projet et le disque English Garden. 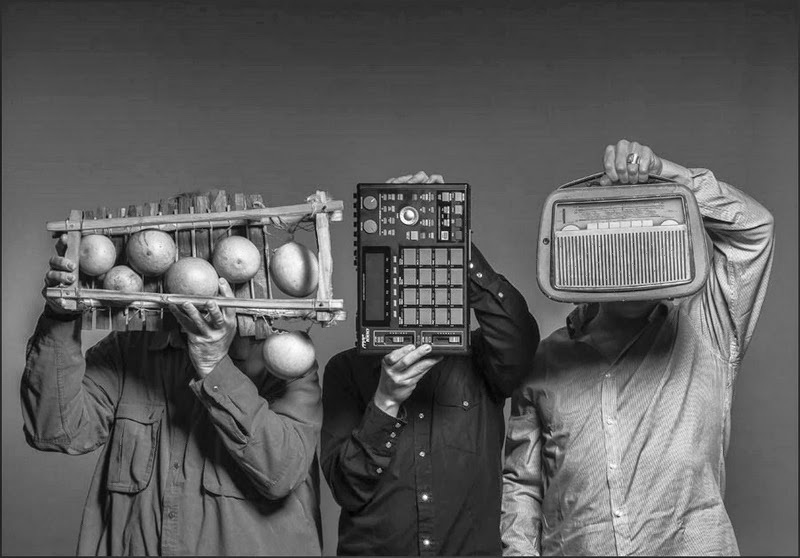 Hommage à la musique d'Outre-Manche, la réunion du groupe et du chanteur sonne comme une course poétique, tortueuse, sauvage et imprévisible..."
Se a Londra il Cafe Oto si estende e conquista via via nuovi spazi di agibilità in Ashwin Street (e oltre), a Parigi - o meglio, a Les Lilas - Le Triton non vuol esser da meno: poche settimane fa, il 22 settembre, il club ha inaugurato ufficialmente una seconda sala di concerto in rue du Coq Français, sottolineando l'evento con musica e spettacoli dal primo pomeriggio alla mezzanotte offerti simultaneamente sui due palcoscenici ora a disposizione. Tra amici e habitué c'erano Louis Sclavis, Andy Emler, Claude Tchamitchian, Jeanne Added, Bruno Ruder, Bruno Chevillon, Vincent Curtois, Yves Robert, Franck Vaillant, Aldo Romano, Sylvain Luc, Benoît Delbecq, Michel Portal, Daniel Humair, Simon Goubert, John Greaves con Verlaine les airs e Sophia Domancich con Snakes & Ladders. Per il loro nuovo album i friulani Arbe Garbe approdano al vinile, riprendono integralmente il Don Cherry di Complete Communion (Blue Note, 1966) sul lato A e lo offrono alle malìe di JesterN sul lato B. Al loro fianco, con banjo e palloncini, il Dottor Chadbourne sorride. 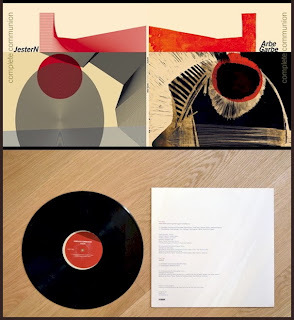 Dagli archivi della Hebbardesque Records, l'etichetta creata nel 1980 dai Rascal Reporters Steve Gore e Steve Kretzmer, giungono due interessanti raccolte di materiali inediti, in versione alternativa e rarità: un secondo volume di Bonus Tracks - dopo quello che ne ha inaugurato la serie il giugno scorso - e la documentazione di un rarissimo concerto dal vivo tenuto nel 1976, quando il gruppo era un trio e nel circuito studentesco di Michigan e Detroit si faceva conoscere - si fa per dire - con l'appellativo machinista Pigling Bland. Tutto presso Bandcamp. 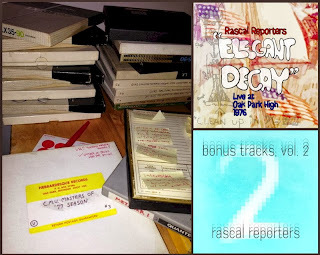 Hebbardesque Records, the label imprint created by Steve Gore and Steve Kretzmer in 1980, is pleased to unveil two new Rascal Reporters albums via Bandcamp: Bonus Tracks, Vol. 2 is the latest in our series of Rascal Reporters compilations. Consider this to be the weirder companion piece to Vol. 1, which we released in June of this year. They're all represented here: rarities, outtakes, unreleased demos, and alternate versions that span the Michigan duo's 34-year career, culled from the band's reel-to-reel tape archive. This installment of the series focuses on early demos, spooky remixes and maniacal performances by Steve Gore and Steve Kretzmer; an archival grab-bag of weird pop songs, prog-rock puzzlers and sound-on-sound tape experiments. The other new Rascal Reporters album is an astonishing recording that we've entitled Elegant Decay (Live at Oak Park High 1976). 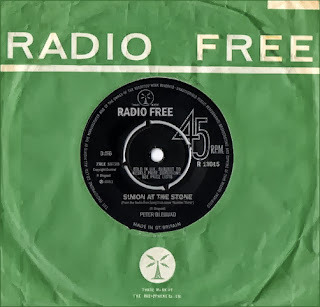 Normally considered to be a studio-only group, this release is taken from the band's penultimate live gig (their next was in 1985! ), at their Detroit-area high school, on April 14, 1976. 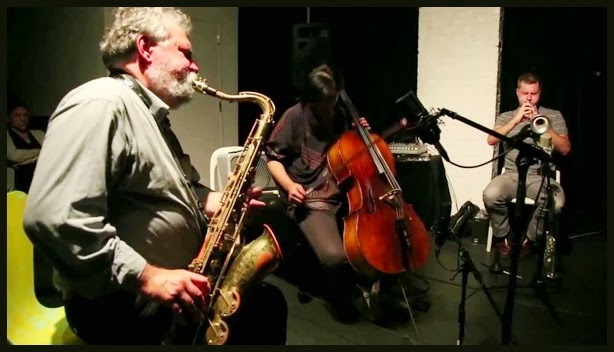 'Elegant Decay...' will shatter any preconceptions of what these young musicians were capable! At times sounding rather like the Canterbury Scene legends Egg, the Rascal Reporters (operating at that time as a trio called Pigling Bland) confounded an audience of their fellow students that day, and we have the proof on tape! 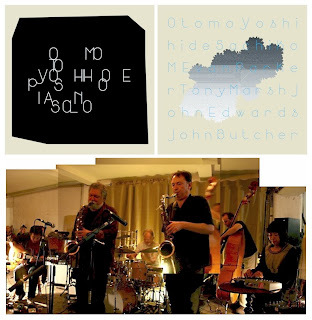 Due pubblicazioni in vinile a tiratura limitata, pronte per metà novembre 2013, rimandano alla prima residenza artistica di Otomo Yoshihide e Sachiko M presso il londinese Cafe Oto, nel marzo 2009: un solo di pianoforte, set piuttosto raro per Otomo, e il concerto conclusivo di quella duegiorni in quintetto con Evan Parker, John Edwards e Tony Marsh, brevemente anche sestetto con l'apporto di John Butcher. Prenotazioni e ascolti in anteprima ai siti di Otoroku e Soundcloud. 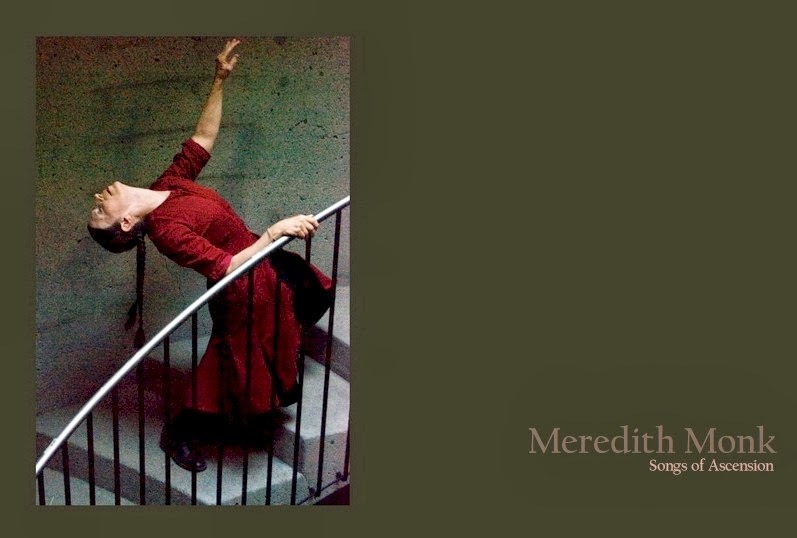 Meredith Monk è domani sera a Bergamo alla Basilica di Santa Maria Maggiore per il festival Contaminazioni Contemporanee, nell'ambito di BergamoScienza. 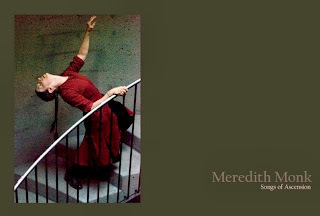 Presenta Songs of Ascension, con Katie Geissinger. Esser convocato a corte per la prossima, imminente incarnazione del Re Cremisi - l'ottava - pare abbia sconvolto la vita di Jakko M Jakszyk (e con quella, il contatore di followers della sua pagina Facebook! 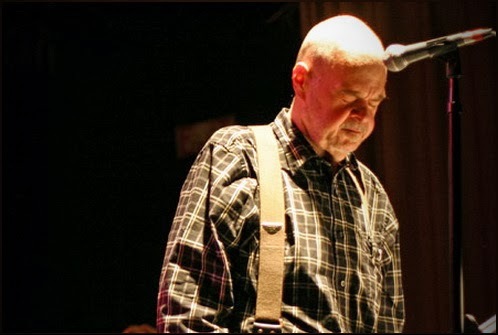 ): "On the evening of July 15 1971 I sat in row 3 at Watford town hall and watched King Crimson. It blew my head off. 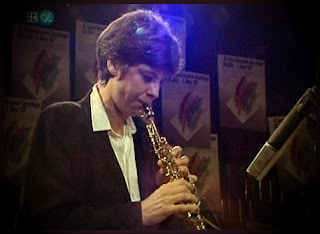 Robert Fripp and Mel Collins in particular. It somehow felt that my life had changed as a result. That seemingly romantic teenage notion came straight back to me 3 weeks ago on the evening of September 4th. The phone rang. 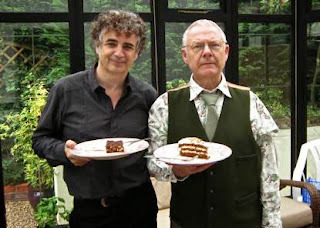 It was Robert Fripp. Did I have time for chat? He was reforming King Crimson. 7 members.
. He told me who they would all be. Except one. Somehow my life had indeed changed." 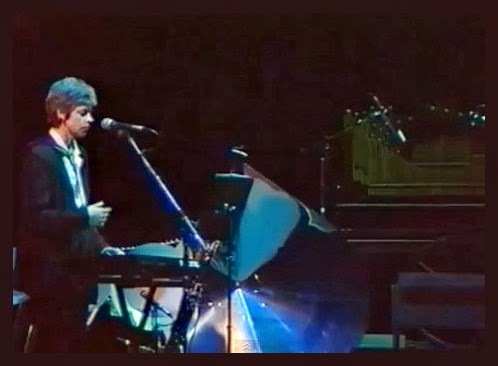 Stand Still è il titolo apposto a un'intervista telefonica che David Thomas ha concesso pochi giorni fa nel mezzo di una lunga e problematica serie di concerti negli Stati Uniti con Pere Ubu, attesi in Europa a novembre con un giro di concerti - due anche in Italia - denominato Visions of the Moon. La conversazione si ascolta in http://www.examiner.com/article/stand-still-an-interview-with-pere-ubu-s-david-thomas, così introdotta dall'interlocutore di Thomas: "He talked about the extreme nature of the musicians who comprised the small rock music scene where he got his start in Cleveland. The balance between horror and humor in the band’s music. The way people inhabit their own personal ghost towns. 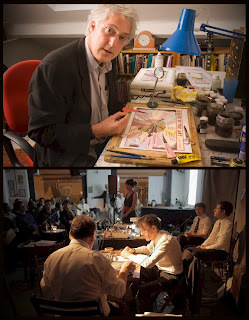 How the job of the singer is to manipulate time and space. The band’s God’s-eye perspective. And how “Stand Still” just might just be the ultimate answer to everything". Un bel brano di Peter Blegvad all'epoca sfuggito all'album Hangman's Hill (1998), The Great Escape, venne completato assieme a Bob Drake in tempi successivi, emergendo qualche mese fa - pur a margine della discografia ufficiale - attraverso Soundcloud. 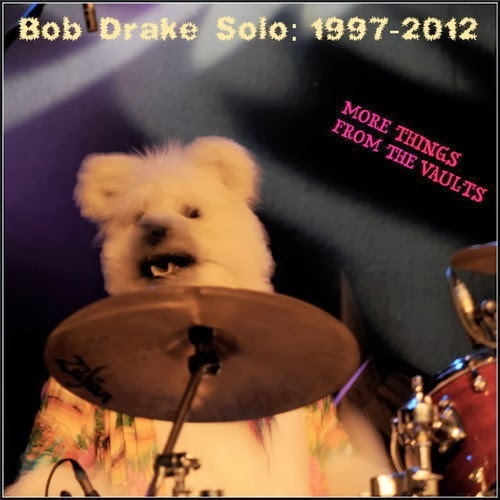 Lo si ritrova oggi in un ottimo album (virtuale) organizzato da Drake per radunare proprie opere più o meno solitarie, compiute e incompiute, degli ultimi quindici anni: Bob Drake Solo 1997-2012. 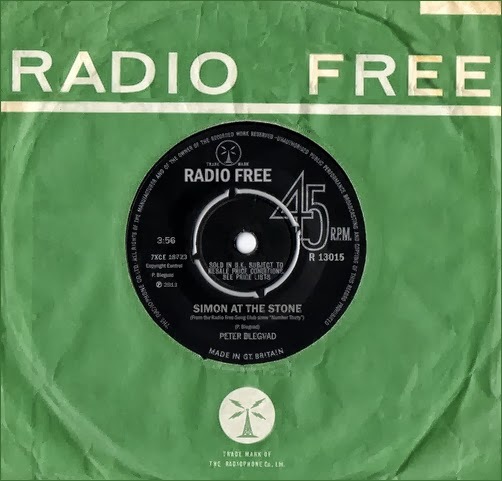 Pochi giorni fa Peter Blegvad ha registrato una nuova e più estesa versione di un suo brano dedicato alla memoria dell'amico Simon Marsden, celebre fotografo scomparso nel 2011: Simon at the Stone, disponibile ora come singolo (virtuale) e presto parte del trentesimo episodio prodotto dal Radio Free Song Club. Le polverose trame sonore ottenute dai quattro del Langham Research Centre - Felix Carey, Iain Chambers, Philip Tagney e Robert Worby - dal loro incredibile armamentario di attrezzature vintage, l'inconfondibile voce di Peter Blegvad moltiplicata e risucchiata nelle drammatiche spire della narrazione, e le statiche immagini piatte di Jeremy Welsh hanno incantato e tenuto col fiato sospeso l'intero uditorio del Cafe Oto londinese l'altra sera: in presentazione in prima nazionale c'era Eschatology, inquietante meditazione elettronica sulla fine definitiva di ogni cosa. Un estratto audio è in Soundcloud, mentre una breve ripresa video è in http://www.youtube.com/user/photocronista. 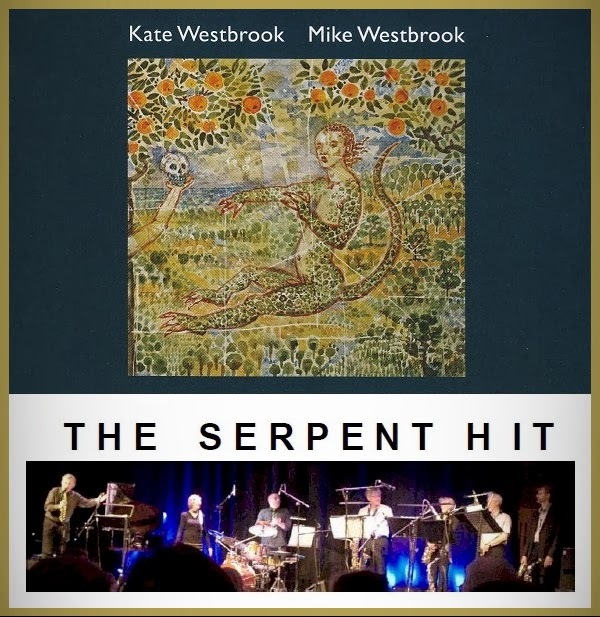 Il pezzo forte era naturalmente The Serpent Hit, proposto in versione integrale e arricchito da un intervento al pianoforte del tutto assente dalle precedenti esecuzioni, inclusa quella dell'album; ma in apertura della westbrookiana al Wilton's Music Hall londinese lo scorso 1 ottobre il Trio non ha affatto sfigurato, infilando tra perle antiche e nuove - da Alabama Song a Brazilian Love Songs - un'accorata Music Is da lucciconi dedicata agli amici scomparsi: Danilo Terenzi, Tony Marsh e Lindsay Cooper. In ricordo di Lindsay Cooper sono apparsi nei giorni scorsi vari articoli sui quotidiani britannici, tra cui The Guardian, The Independent e The Times. 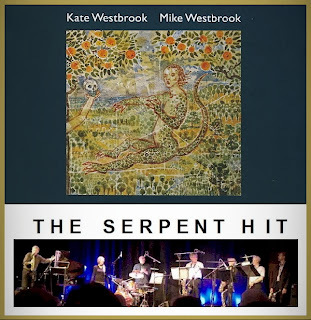 Mike e Kate Westbrook ne hanno tracciato un breve ritratto in un programma che sarà prossimamente trasmesso da BBC Radio 4, mentre a Radio Popolare Alessandro Achilli le ha dedicato l'intera puntata di Prospettive Musicali domenica scorsa. Al profilo YouTube di Ars Perspicuus c'è il filmato del brano che Fred Frith ha dedicato a Lindsay lo scorso 20 settembre al termine dell'esecuzione di Gravity: Terrain. 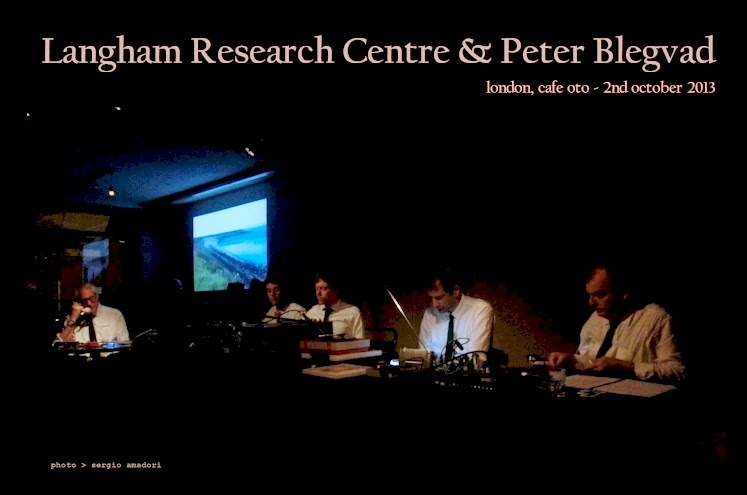 Tornano stasera al Cafe Oto londinese il quartetto di musica concreta Langham Research Centre - che nella prima parte del concerto eseguirà brani di John Cage - e Peter Blegvad: insieme presenteranno Eschatology, proposto finora solo al festival Borealis in Norvegia, a inizio di quest'anno. 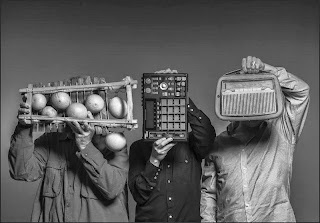 Home-made electronic instruments and vintage tape machines are deployed to develop the sonorities derived from field recordings made in Bergen, Norway. Eschatology is a contemplative work that encourages us to consider how it would feel to witness the end of the world.